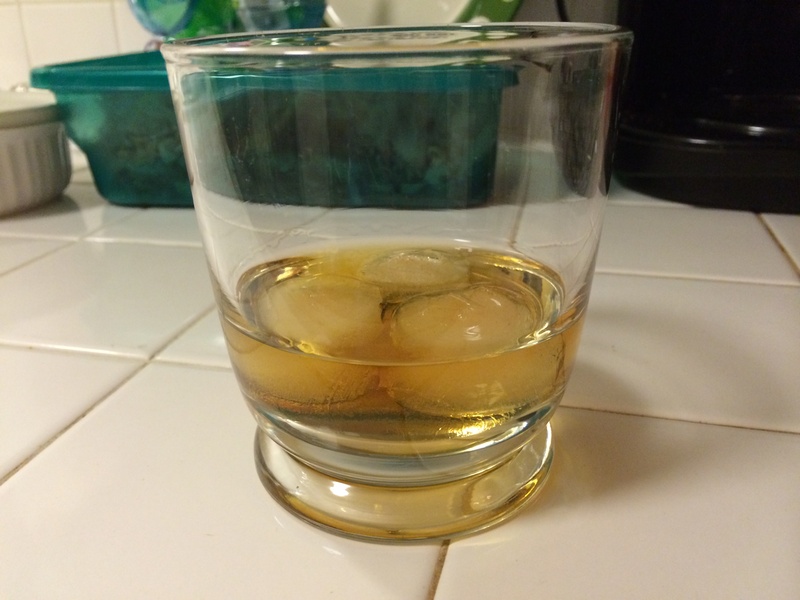 This month’s topic is near and dear to our hearts as it is our favorite type of lower-proof cocktails: shims! These drinks contain no more than half an ounce of strong spirits (i.e. those containing 40% ABV or above). Heavy-hitters are fun to drink, sure, but it’s way too easy to over-consume and under-enjoy when you’re playing hardball. Let’s stretch out our evenings and get to sample a bigger variety by lowering the proof without lowering our standards. Shims don’t require giving up on flavor, complexity, or—interestingly enough—even your favorite ingredients. Get a new understanding of your favorite high-proof spirit by using just a half or quarter ounce of it along with a milder leading player. Or take a low-proof character actor that usually supplements the main show and see if it can take the lead… By their nature, lower alcohol drinks, especially those using wine-based main ingredients, are great choices for food pairings. If you’ve got the perfect accompaniment for your chosen cocktail, please share that with us too!. 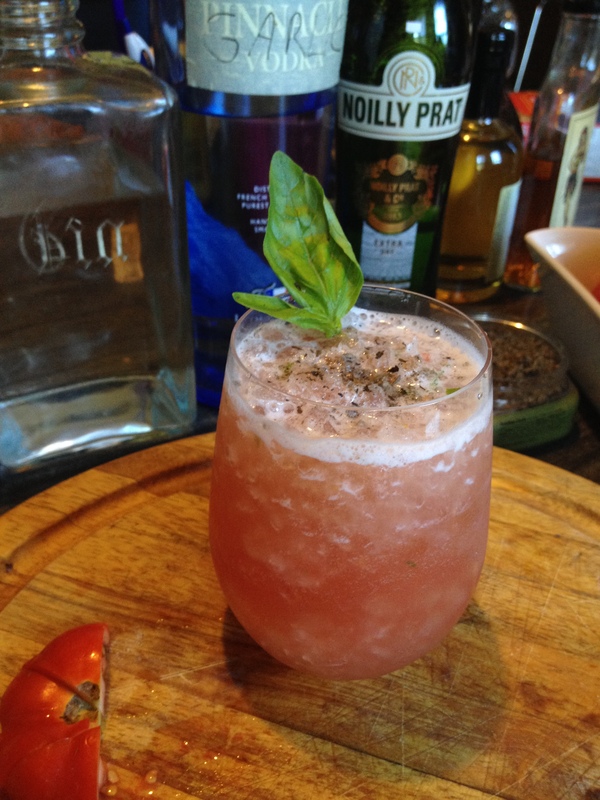 One of the reasons low alcohol cocktails can be great is when you have a party. It is easy to get carried away,especially with friends you have not seen in a while, so a lower alcohol beverage can help to mitigate that danger of sociability. 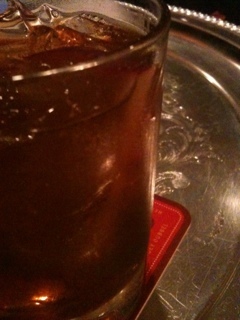 In that vein, I thought back to some of my favorite pitchers of drinks and settled on Sangria as my Shim for November. 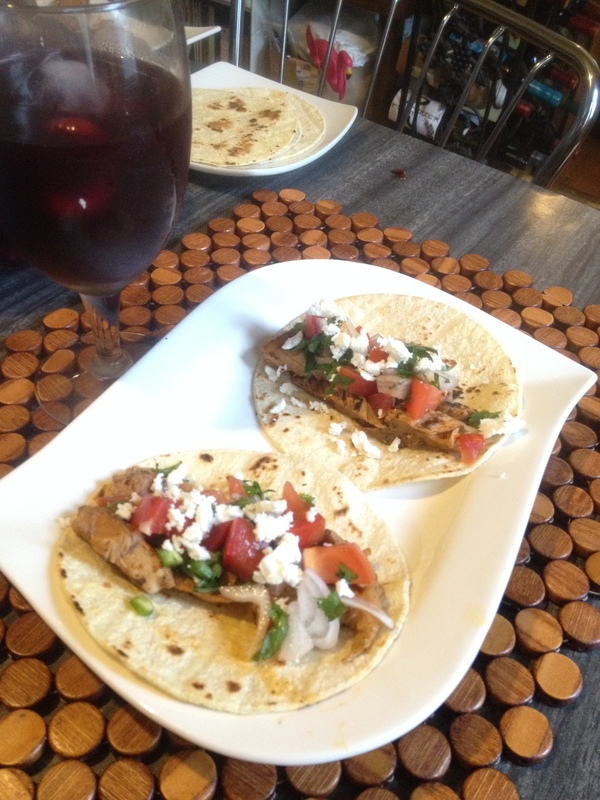 Because we were also challenged to pair it with food, I made some spicy shredded pork tacos to keep the Mexican theme going. 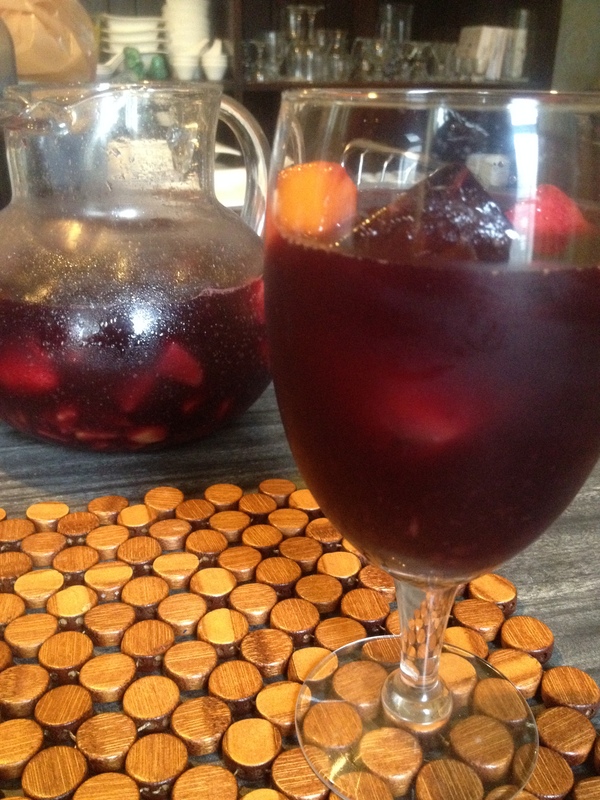 Sangria is in a lot ways a punch, so the goal is to balance the bitter, strong, sweet, and sharp flavors we use in drinks. Sangria is a wine based drink so the first step was to determine what wine to use which is going to provide the closest to bitter components. I want to use a decent, but not overly pricey wine since I am going to be adding all sorts of other components. 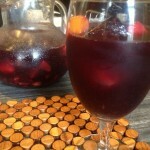 I really like to use Carmenere from Argentina or Chile for Sangria. Carmenere is an old french grape thought killed by the great Phylloxera rot until it was discovered to have been planted in South America hiding in plain sight where it was thought to be Merlot. Carmenere doesn’t as heavy a body so using it in Sangria allows us to keep it from being too tannin forward and to highlight some of the stone fruit and “masculine” flavors of the wine. 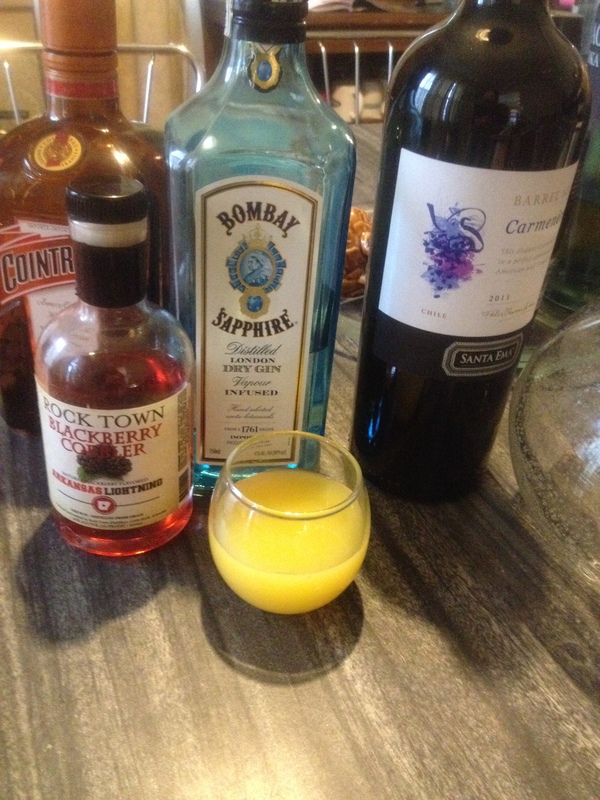 I am not using the usual brandy component here, instead going with .25oz per serving of each Cointreau and Bombay Sapphire gin. 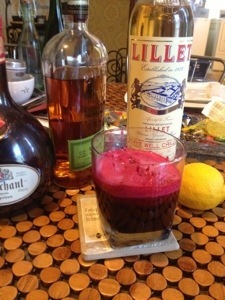 The Cointreau adds a little more citrus component but also keeps it from being too sweet. 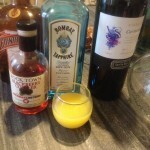 The gin is a strong component for sure, but is going to help liberate some flavors from the fruit as well. I went with Bombay Sapphire because it is lower in juniper and higher in citrus and spice notes but any of that high citrus style gin would work wonders here. To make up some of the sweetness, I turned to the Blackberry Cobbler liqueur from our local distillery going with another .25oz per serving as well. The blackberry should also serve to highlight some of the stone fruit and berry flavors in most Carmeneres. A little bit of orange juice helps keep the whole thing together and provides the Cointreau with a bit more brightness against which it will pop. Finally, my secret ingredient, a bag of frozen tropical smoothie fruit mix from the local megamart. This will help chill the drink without as much dilution as ice even though we will be adding some ice later. Finally, the juice of half a lime because I always want a little lime in my sangria. Step 1. Add the gin, Cointreau, and blackberry liqueur to the pitcher. Mix. Step 2. 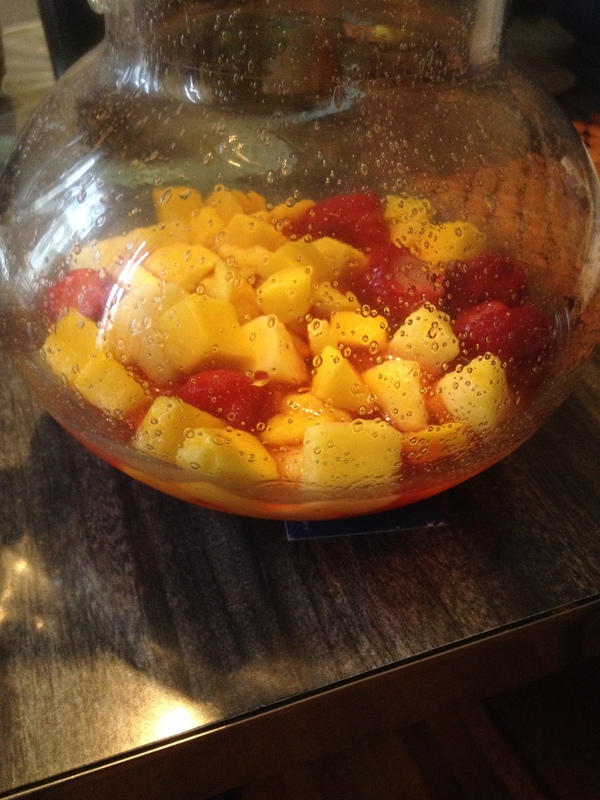 Add the frozen fruit so that the alcohol has a chance to interact and extract some of the fruit flavors. Let this rest for 15 minutes. Step 3. 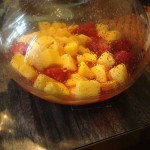 Add the wine, lime juice, and Orange Juice. Stir. Top with ice. 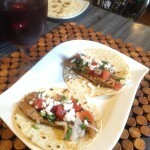 Serve in a cooler glass or wine goblet with your spicy shredded pork tacos and let your party keep going.